In seeing printed reproductions as a form of response to Michelangelo's work, Bernadine Barnes focuses on the choices that printmakers and publishers made as they selected which works would be reproduced and how they would be presented to various audiences. Six essays set the reproductions in historical context, and consider the challenges presented by works in various media and with varying degrees of accessibility, while a seventh considers how published verbal descriptions competed with visual reproductions. 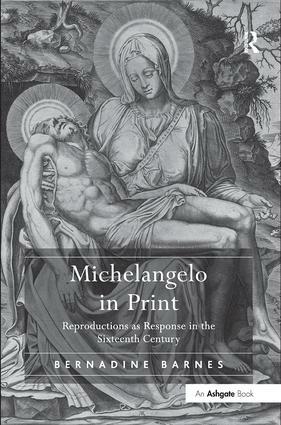 Rather than concentrating on the intentions of the artist, Barnes treats the prints as important indicators of the use of, and public reaction to, Michelangelo's works. Emphasizing reception and the construction of history, her approach adds to the growing body of scholarship on print culture in the Renaissance. The volume includes a comprehensive checklist organized by the work reproduced. Bernadine Barnes is Professor of Art History at Wake Forest University, USA.